In music therapy, music is used as a tool to address the goal areas of communication, social skills, motor skills, behavior, emotional awareness, and activities of daily living, cognitive skills, academic skills, and leisure skills. Direct and consultative music therapy services are provided to students individually and/or within small groups. 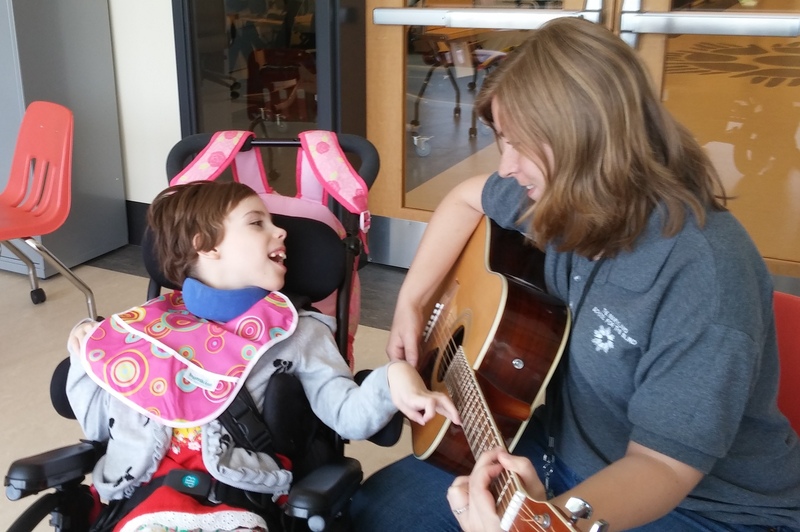 Music therapy is also provided as educational enrichment to groups of students at MSB. Group sessions are structured to provide predictability for the students in order to make progress on goal areas. Group sessions also aim to increase generalization of a student’s skills from the classroom to other environments.